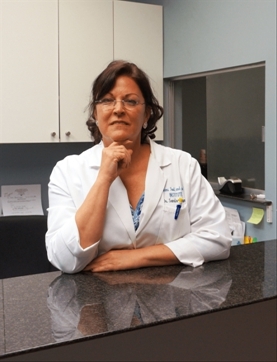 Dr. Sandra Gotman is double Board Certified foot and ankle surgeon in Miami, Florida, and she been practicing podiatry for more than 30 years. Born in Cuba, she and her family immigrated to he United States and settled in Michigan when Fidel Castro came to power. Dr. Gotman was raised outside of Detroit, and her father practiced Obstetrics and Gynecology for 35 years. Today, she is a prominent Miami foot doctor. She provides personalized care to all her patients, and believes in giving her patients more than just a diagnosis. Instead, Dr. Gotman wants each patient to have the information they need to make an educated decision about their foot and ankle care. She received her Bachelor of Arts from the University of Michigan, Ann Arbor. Following her undergraduate work, she continued her education in Podiatric Medicine and surgery at the Ohio College of Podiatric Medicine in Cleveland, Ohio. Dr. Gotman graduated from OCPM in 1985, came to Miami, and completed her surgical residency at Westchester General Hospital. Her residency was under the auspices of Dr. Chet Evans and Dr. Keith Kashuk. Amazing to realize it now, but she was the first native Spanish speaking podiatrist at that time. She served as President of the Dade County Podiatric Medical Association, a position she held for two straight years. One of her shining accomplishments remains her oral presentation on Lumbo-Sacral Radiculoapthy, given at the 2010 American Public Health Association meeting in Denver, Colorado. Today, Dr Gotman continues her research in the field of peripheral neuropathy, and she provides cutting edge treatment using stem cells therapy. 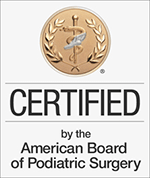 And, in her podiatric practice, she treats patients of all ages—children, adults, seniors, as well as sports injuries.